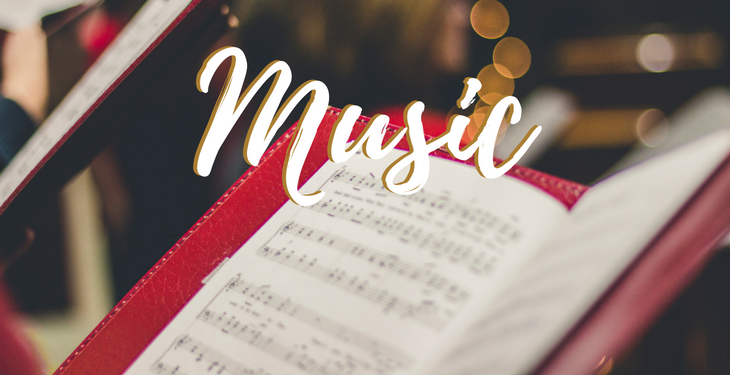 Come join one of our music groups! We have many options for all ages. You don't read music? That's okay! All that is needed is a desire to serve God through a growing church. We'll help you with the "music part" along the way. 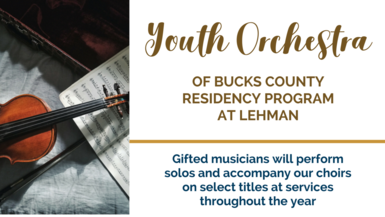 This summer, the generosity of our Sanctuary Choir allowed us to enhance our worship experience through a partnership with the Youth Orchestra of Bucks County, one of the region's premiere audition-only musical organizations. We are continuing the residency throughout the year with these talented young musicians playing solos as well as accompanying our choirs on select titles. Find out more HERE. The Sanctuary Choir sings at the classic worship service on Sunday mornings at 11:00 a.m. and at additional services for special holidays like Christmas and Easter. Rehearsals are held Thursday evenings from 7:30 - 9:30 p.m. The Sanctuary Choir is open to adults 18 years and older. The Cross Connection Worship Team provides music for Lehman's Modern Service at 9:30 am., as well as some special services throughout the year. Serving opportunities exist in both Worship Vocals and the Worship Band. Rehearsals are held Wednesday evenings from 7 - 8:30 p.m. Cross Connection welcomes high school students and adults. Our youth and childrens' choirs sing at various services, both classic and modern, from September to June. This diverse choir for youth in sixth through twelfth grades provides an opportunity for students to serve on various levels during different styles of worship. Rehearsals are Sunday afternoons from 12:15 -1:30 p.m.
A children's choir for our elementary students in second through fifth grades. Rehearsals are Thursday evenings from 6:30 - 7:15 p.m.
A children's choir for students just beginning to sing. Rehearsals are Thursday evenings from 5:45 - 6:15 p.m. Children from Kindergarten through First Grade are welcome to join. The members of our adult bell choir, The Lehman Ringers, play periodically throughout the year at our classic services. The bell choir also takes part in a regional workshop and concert. Rehearsals are held Wednesday evenings from 8 - 9:30 p.m. Adults 18 years and older are welcome to join the adult bell choir. Bells for teens! Rehearsals are Thursday evenings from 6:00 - 7:00 p.m. For youth in sixth through twelfth grades.